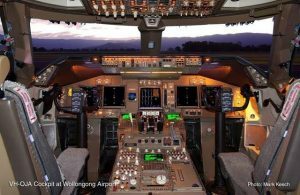 HARS Aviation Museum has some special tours available on its Boeing 747 during the Wings Over Illawarra Airshow on Saturday 4th and Sunday the 5th of May 2019. Details of the tours follow. 747 Jumbo Jet Cockpit Experience: an incredible opportunity to experience first hand what really goes on at the pointy end of this huge aircraft. 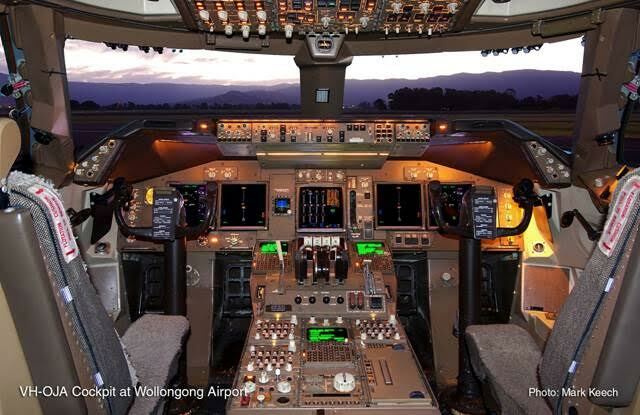 Enjoy 45 minutes in the Cockpit of our Qantas 747-438, VH-OJA sitting in the Pilot and Co-Pilot seats hosted by a 747 pilot who will explain the workings of the cockpit in detail including take-off and landing procedures and emergency procedures that you would not normally be aware of. These tours are normally limited to two guests at a cost of $100 per guest however in some cases where there is an additional family member or friend, a third guest may be allowed in the Cockpit ’jump seat’ at a reduced cost of $50. Tours will be conducted every hour for a duration of 45 minutes starting at 9:30 AM with the last tour at 2:30 PM each day. The minimum age for these tours is 14 years although children aged 12 and 13 may be accepted if accompanied by a family member or guardian (friend of family). Please call HARS Reception on 02 4257 4333 to reserve your seat. Payment is required to be made at the time of booking, and it is recommended that you book ahead as past experience has shown that there are very few slots available on the actual days of the Airshow. 747 Jumbo Jet Wing Walk Experience: the opportunity to walk out onto the wing of this huge 747 aircraft attached to a cable by means of a safety harness. 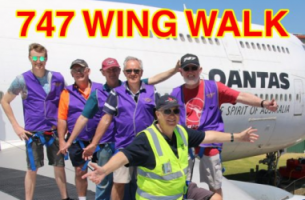 Wing Walk tours will be conducted during the Wings Over Illawarra Airshow weekend for up 6 guests at a time for a duration of 15 minutes on the 747 wing. Guests will experience great views and photo opportunities of the Wings Over Illawarra activities below. Suitable clothing (shorts or slacks for women) and sensible foot wear (no thongs) must be worn. These tours will be run on both days every half hour starting at 9:30 AM with the last tour at 3:00 PM and due to the frequency of these tours bookings can be made either by phone prior to the Airshow or at the aircraft on the day of attendance. The special Wings Over Illawarra Airshow price is $40 per adult and $30 for those under 18 years of age. The minimum age for these tours is 14 years although children aged 12 and 13 may be accepted if accompanied by a family member or guardian (friend of family). Bookings can be made prior to the Airshow by calling HARS Reception on 02 4257 4333.